HQ Dental can provide cosmetic smile makeover treatments for private patients using the very latest technology to improve your smile. Patients choose to have smile makeover treatments for a variety of reasons which can include image, confidence and necessity. A common treatment within the smile makeover package is tooth whitening. 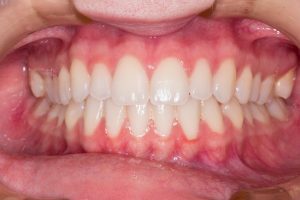 Other smile makeover treatments include bonding, which is a great way of hiding any small imperfections like chips, gaps or cracks, and crowns which give the feel and look of natural teeth, whilst masking any imperfections beneath. If you have missing teeth, you can also get implants fitted as part of the package. Every patient is treated on a one-to-one basis and our experienced team will always discuss all the options with you before going ahead with any treatment. For more information on any cosmetic smile makeover treatments, or to book a consultation for treatment, please contact us today by calling 0113 279 6668.